2. 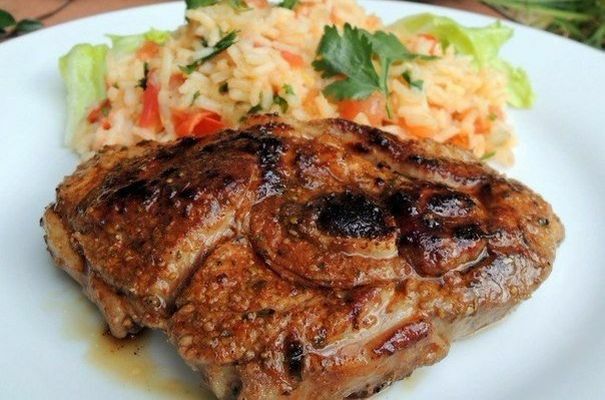 Take a fillet of veal. 3. Wrap a piece of bacon meat (or raw ham) and secure with thread. 4. Melt the butter in a saucepan with high sides and non-stick bottom. Put the meat in a pan and slightly brown it, turning occasionally, without covering with a lid. 5. About 15 minutes later, as the meat is browned, add white wine and also without covering with a lid, sauté the meat in wine, until it practically evaporated. Note: the meat in any case should not stick to the bottom! 6. Preheat the oven to 180°C, transfer the meat to a baking dish, pour the rest in the pan sauce, and place in oven. 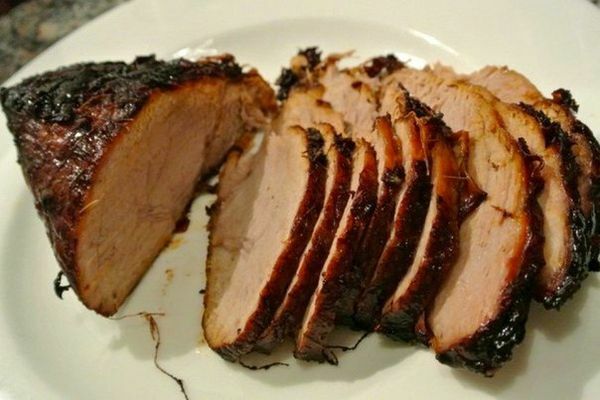 Every 10-15 minutes you need to flip the meat, basting it with the sauce that is formed in the form. 7. 40 minutes reduce temperature to 150° C and continue to bake the meat for another hour, turning it and basting with sauce about every 20 minutes.